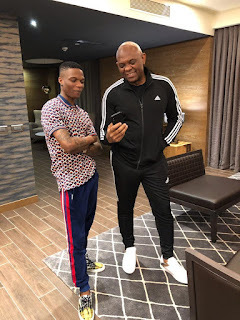 Starboy, Wizkid who made a resounding statement in Mali last night before a mammoth crowd at a concert organised by Africa's Global Bank, UBA has revealed that he signed a deal with the leading bank. 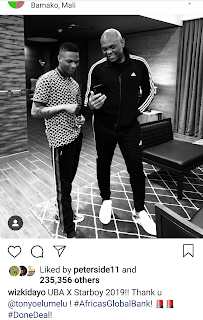 Wizkid took to his IG platform to share photo of himself with Billionaire banker, Tony Elumelu, the CEO of UBA Groups. 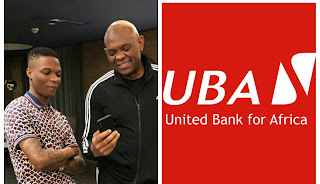 UBA Group has branches in 21 countries including USA and the UK. 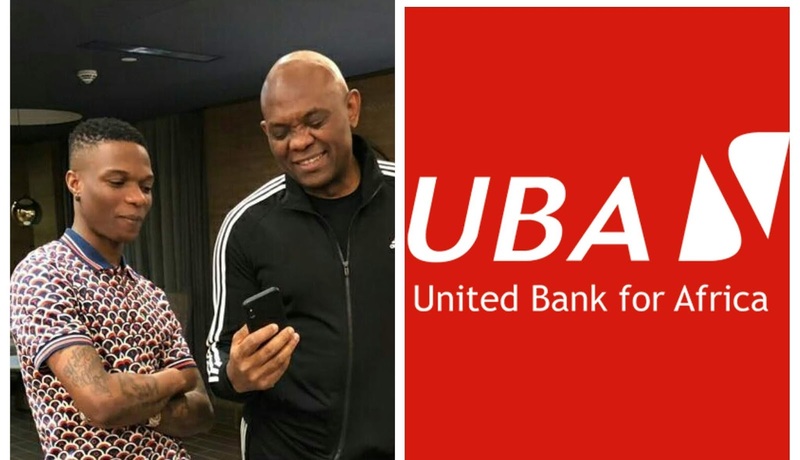 In Ghana alone, they have 16 branches. A Nigerian-owned multinational company.